Yes, more recessionary years saw negative returns more often than not, but surprisingly there have been some strong equity returns during years that had an official recession take place. 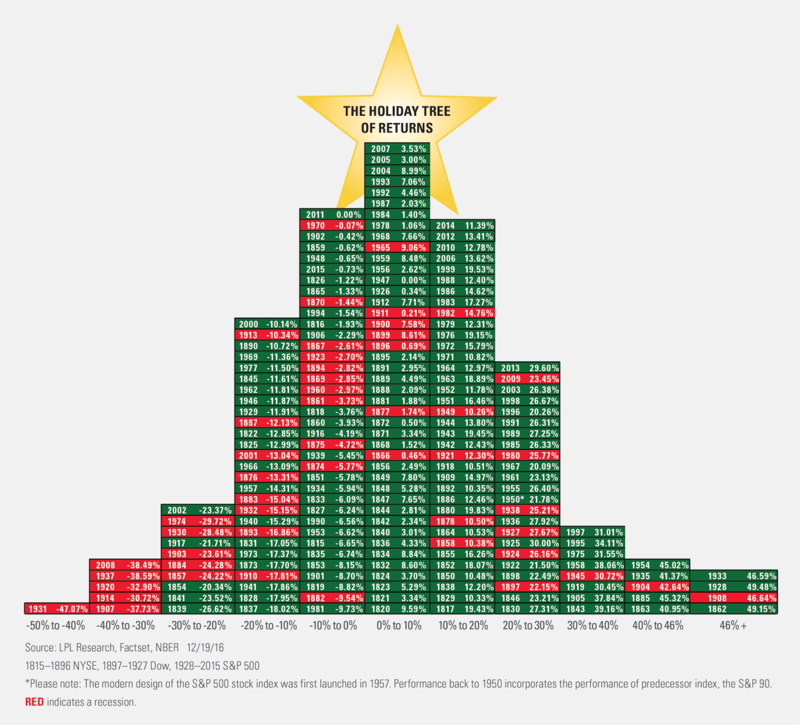 Obviously most of these big gains took place as the recession was ending; still, this is eye-opening and reinforces not focusing too much on just fundamentals, but also incorporating valuations and technicals. 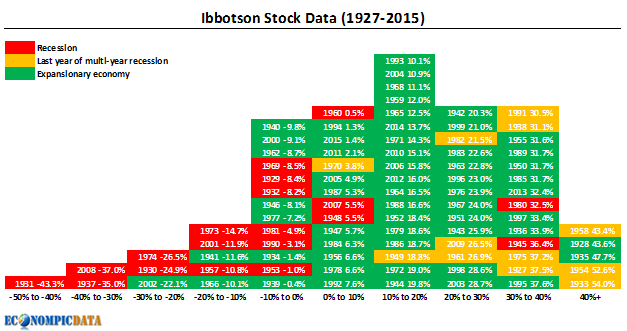 I recreated his chart below using Ibbotson data going back to 1927 (the data goes back to 1926, but you'll see shortly why I selected 1927) and to highlight his point on recessions, I added yellow cells to show final years of a multi-calendar year recession to clearly show the strong performance available for investors that owned stocks after the stock market was already crushed during the initial stages of the recession. Note there are some differences in which years we show as being recessionary. I am not sure of Ryan's source, but I just went to Wikipedia. So is it possible to avoid much of the drawdown at the start of a recession and capture the rebound? Fortunately, it might just be. At each month-end, if the total return index is greater than the 10-month moving average of the total return index stay in stocks... otherwise buy U.S. treasuries. The 10-month moving average calculation pushed the first calendar year of the strategy to 1927, hence the 1927 start in both charts. 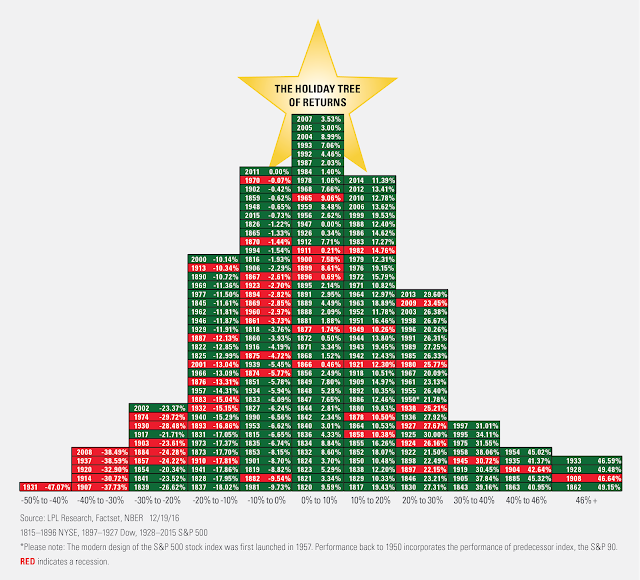 Remarkably, while this simple model did reduce some of the strongest calendar years, it resulted in no calendar year return of less than -25% and "converted" most of the tough recession years to much more manageable down years. 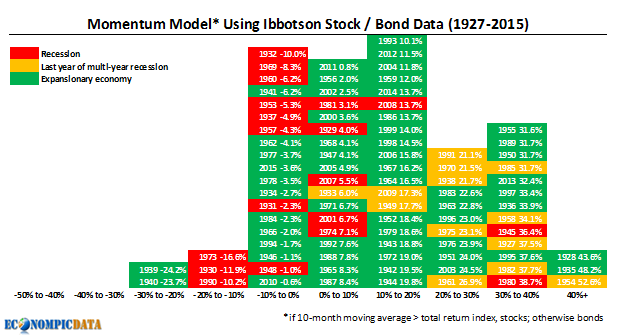 As remarkable, this simple momentum model was able to capture most of the rebound years (i.e. the yellow cells showing the last year of a multi-year recession), as well as the strong performance of the two positive returning recessions (1945 and 1980).